Complete the Fortnite Week 5 Battle Pass Challenge with this guide! 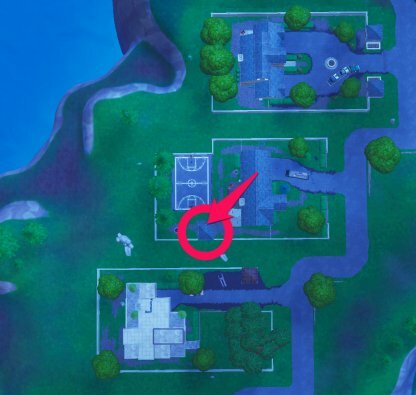 Find out the location of the Treasure Map in Snobby Shores and where to unlock the Treasure! Check Out the Season 5 Week 5 Challenges! You need to have the Fortnite Battle Pass to complete this challenge! Check out the extra challenges and rewards you can get with the Battle Pass! 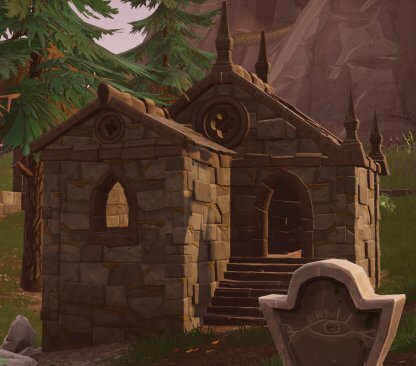 The Treasure can be found in Haunted Hills at the north-west side of the map! It's at the small mausoleum, north of Haunted Hills cemetery. It's right next to the Church! The treasure will be on the roof of this mausoleum! 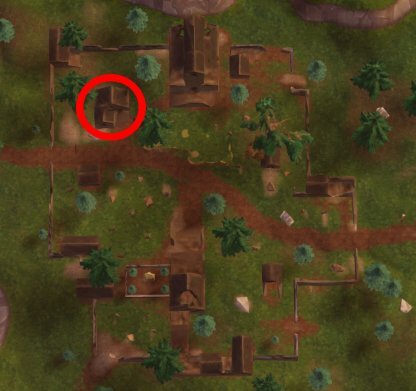 The Treasure Map is in Snobby Shores at the west edge of the map! It's at the backyard of the house with the Basket Ball court. 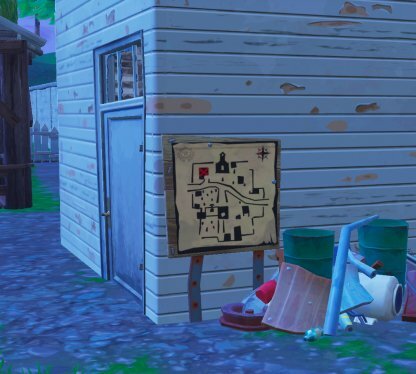 The Treasure Map can be found on the backyard shed, second house from the north. It's on the side of the shed.